” The Northern Territory has the second highest alcohol consumption in the world. Misuse of alcohol has devastating health and social consequences for NT Aboriginal communities. APO NT believes that addressing alcohol and drug misuse, along with the many health and social consequences of this misuse, can only be achieved through a multi-tiered approach. On 17 April 2014, APO NT submitted their written evidence to the House of Representatives Standing Committee on Indigenous Affairs on the Inquiry into the harmful use of alcohol in Aboriginal and Torres Strait communities. 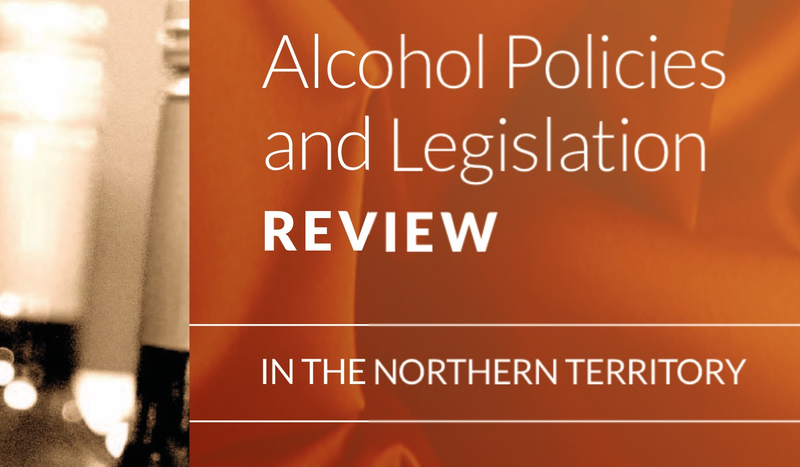 The Health Minister Natasha Fyles today released draft terms of reference for a comprehensive review of alcohol policy in the Northern Territory. Minister Fyles said the Government was determined to tackle the cost of alcohol abuse on our community and the review will give all Territorians an opportunity to have their voices heard. “We recognise that, while everyone has the right to enjoy a drink responsibly, alcohol abuse is a significant cause of violence and crime in our community,” Ms Fyles said. “All Territorians have the right to feel safe, to have their property, homes and businesses secure from damage and theft. “They also have the right to access health, police and justice services, without having critical resources diverted by the crippling effects of alcohol abuse. “That’s why Territory Labor has consistently advocated, and implemented, a range of policies to reduce the harm caused by alcohol abuse. “When last in Government we implemented the Banned Drinker Register (BDR), described by Police as the best tool they had to fight violent crime. “In Opposition we were clear we would reinstate the BDR and impose a moratorium on new takeaway licences. “While some of these policies aren’t popular, their effectiveness is backed by evidence. “This review is an important chance for the community to have their say and to ensure that all facets of alcohol policy complement our determination to make the Territory safer. “Broad public consultation will be undertaken as part of the review, with multiple avenues for interested people, groups and communities to put forward their views. The review will start in April with a report and recommendations delivered to government in late September 2017. The government will then develop a response to the recommendations for the development of the Alcohol Harm Reduction Strategy and legislative reform agenda. These will be released publicly along with the Expert Advisory Panel’s final report.